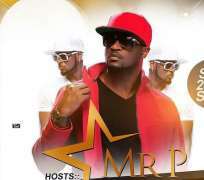 Since the news of the P-Square brothers being at logger heads, none of them have been spared by fans as they throw various questions and accusations at them. For Paul Okoye, he is only waiting for the perfect time to strike as it seems he has had enough of the whole drama but Peter has been busy attending to questions he feels needs an answer. Peter is set to headline a show on the 23rd of September and many have been wondering why he does not have his brother go with him. Well, he has answer for that as he claimed that they are both entitled to doing individual music without featuring each other.